FREE Storytime At Barnes & Noble On Feb. 21! You are here: Home / FREEbies / FREE Storytime At Barnes & Noble On Feb. 21! It’s time for storytime at Barnes & Noble! Head to your local store for FREE Storytime at Barnes & Noble on Feb. 21 at 11 a.m.! 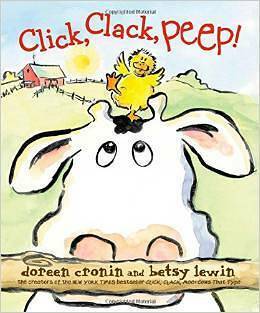 The featured book will be “Click, Clack, Peep”, and there also will be activities related to the book! Farmer Brown, oh-so-sleepy, has a new, adorable—and LOUD—duckling to deal with in this addition to the award-winning Click, Clack series from the New York Times bestselling team who brought youClick, Clack, Moo and Click, Clack, Boo!